We have heard and read stories of valor. Many have witnessed gallantry firsthand; from firemen saving people they have never met in their lives to parents trying to protect their kids from grave dangers. 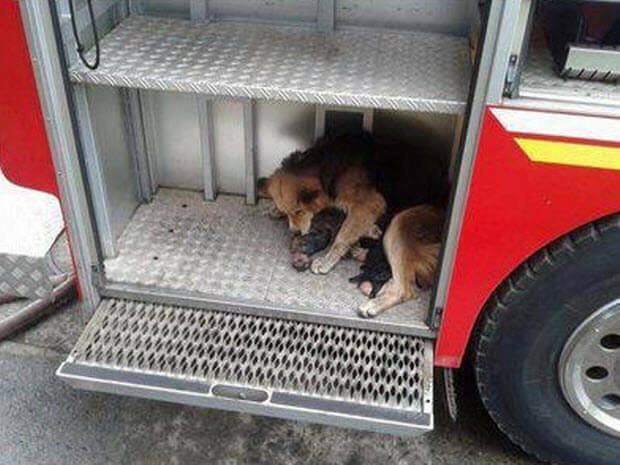 Recently, a post went viral on social media wherein a father is seen saving his wife and kids from a burning apartment. The apartment appears to be on the third floor and black smoke is billowing out of the window and the balcony. The father throws a rug kind of thing first which the passersby and people gathered at the ground catch to hold up. The man throws his kids one after the other, all of whom are caught safely by the people on the ground. He throws his wife and then takes the plunge himself. Although he did not suffer burns from the fire or get asphyxiated due to the smoke, he did injure his spine after he fell. It is imaginable or at least thinkable that a parent would do something like this for their kids and loved ones. 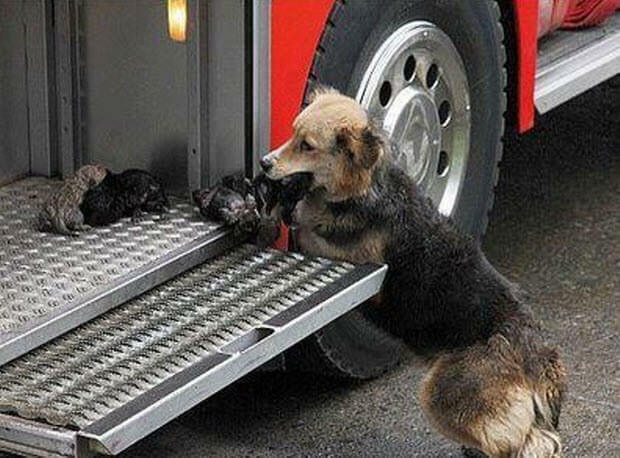 But it is not very easy to comprehend that a dog would do the same for her puppies. Mother’s love is what it is and there is no less of love, care, and responsibility when it is a dog. But Amanda, a dog in Chile, did something that is not expected from our canine friend. Surprisingly Easy Tricks To End A Dogfight Fast! Amazing!